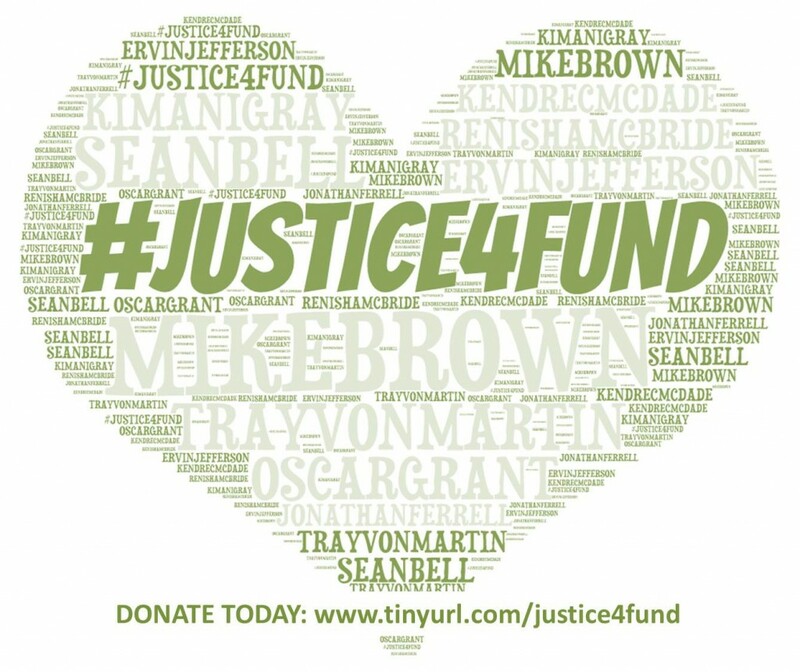 The #JUSTICE4FUND fund will provide $500 – $1,000 micro-grants to community organizations doing important work in the following fields: racial profiling, social justice, civil rights and police brutality. The #JUSTICE4FUND will fund initiatives that serving communities of color; specifically, we will fund educational programs, issues-based campaigns, technological solutions creating systemic transparency and advocacy initiatives. Established in memory of unarmed African-Americans who have been shot and killed to include: Oscar Grant, Trayvon Martin, Sean Bell, Renisha McBride and most recently Micheal Brown this fund is one of many solutions designed to charitably address what has become a national epidemic. CAN I DONATE to the #JUSTICE4FUND? Yes! The #Justice4Fund cannot exist without the financial support of the community Capital Cause encourages all people to donate in any amount to fund this initiative. To ensure the fund reaches its $2,000 goal, eighteen young philanthropists will work together to raise $100/each! Check them out by CLICKING HERE. Capital Cause appreciates all donations, no matter the amount. Your donation will be invested in organizations that are doing important work to address the factors leading to the deaths of unarmed, African-Americans. You also get a VOTE! All donors will vote on what organizations receive their contribution. WHAT ORGANIZATIONS ARE BEING CONSIDERED FOR A DONATION? Waikinya Clanton (Co-Chair), Damon Jones (Co-Chair), Robert Bland, Adrianne Burke, Myles Caggins, Keith Cole, Saranah Holmes, Christian Howard, Kristina Jacobs, Alencia Johnson, Tara Mancini, Javier Martinez, Dexter Mccoy, Marcus Mitchell, Cadene Russell, Joseph Thomas, Daya Washington, Conrad Woody. WHAT IF I WANT TO DONATE TO CAPITAL CAUSE OPERATIONS AS A WHOLE? This fund provides $500 – $2,000 grants to millennial-founded start-ups doing work to eradicate educational inequity, build healthy communities, reduce environmental footprints and end poverty! These membership-funded grants combine the $30 – $150 donations from young philanthropists, who collectively vote to distribute these funds! Currently 78 donors have contributed to this fund. Check them out HERE! Join Capital Cause to participate in this fund today! Stay Tuned for Ventures’ Finalists!